Massachusetts is located in the New England region of the United States. Spring months are pleasant, summers are warm, late fall is cool and winters are cold, with considerable snowfall. Major points of interest include the historic capital city of Boston where you can walk the Freedom Trail and visit the Old North Church. The state of Massachusetts is famous for its universities (Harvard and Cambridge). Cape Cod is a well-known, beautiful tourist destination during the summer, and Gloucester is home to America’s oldest seaport. You can get a delicious lobster dinner anywhere along the coast. You could also visit Salem, with its fascinating witch trial history and the House of the Seven Gables. To travel around the state, you will need to book a bus or train ticket. For more information visit: massvacation.com. Also see our custom Google map of our favorite sites in Boston! 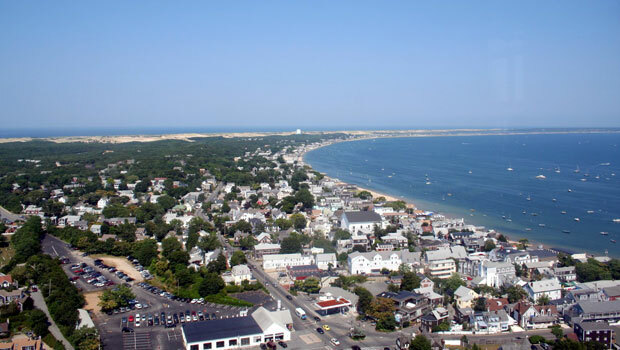 Staying in Cape Cod during your program? Download the Cape and Islands J-1 Handbook (PDF) and visit www.capecodsummercommunity.com. New Bedford Whaling National Historic Park has many historical sites related to the town’s whaling heritage, including the New Bedford Whaling Museum, the Schooner Ernestina and the Seaman’s Bethel. As a center of many events before and during the Revolutionary War, Boston has many historical sites for visitors to explore. One of the best ways to learn about American history is on the Freedom Trail, a trail of 16 historical sites related to the American Revolution. Sites include the Bunker Hill Monument, Boston Common, the Paul Revere House and the USS Constitution. The National Park Service runs tours of the Black Heritage Trail, a walking tour about Boston’s African-American community in the 19th century (Note: There are no tours in winter). Special events are also held throughout the year. Salem Maritime National Historic Site has historical buildings, wharves, outdoor exhibits and tall ships from the Revolutionary War. Many of the grounds are open year-round while tours and special events are held throughout the year. Experience the historic maritime culture of the region at the Cape Cod Maritime Museum in Hyannis. The Zion Union Heritage Museum in Hyannis celebrates African-American and Cape Verde culture and other populations and cultures in the region. Visit the Cape Cod Museum of Natural History in Brewster to learn about the natural history and environment of Cape Cod and conservation efforts in the area. The Highland Light is the oldest lighthouse on Cape Cod. Originally built in 1797, the lighthouse was rebuilt in 1857 and continues to function today. Faneuil Hall is a stop on the Freedom Trail (see above), but it’s also the site of the Faneuil Hall Marketplace, home to many restaurants, shops, events and street entertainment. Boston Tea Party Ships & Museum is an interactive museum that shares the story of the Boston Tea Party of 1773. Visitors can see virtual exhibits, live actors, films, historical artifacts and two Tea Party Ships. The John F. Kennedy Library & Museum honors one of the most popular presidents in U.S. history with exhibits, special events and educational programs. The library and museum looks at his early life, the Kennedy family and his legacy as President of the United States, including significant events like the Cuban Missile Crisis, the civil rights movement and the space program. The Commonwealth Museum teaches visitors about the history of the state of Massachusetts. The Declaration of Independence, Bill of Rights and the Massachusetts Constitution are displayed at the museum along with other important historical artifacts and exhibits. Whale watching tours are popular tourist attraction on Cape Cod. Depending on the time of year, visitors may see dolphins, seals, porpoises, and minke, finback, pilot and humpback whales. Check individual tour companies for prices, locations and schedules. The Nantucket Shipwreck & Lifesaving Museum shares the stories of shipwrecks and historic rescues at sea. Visitors are taken on guided tours and can also enjoy a nearby picnic area. See more tours in Boston and Massachusetts. 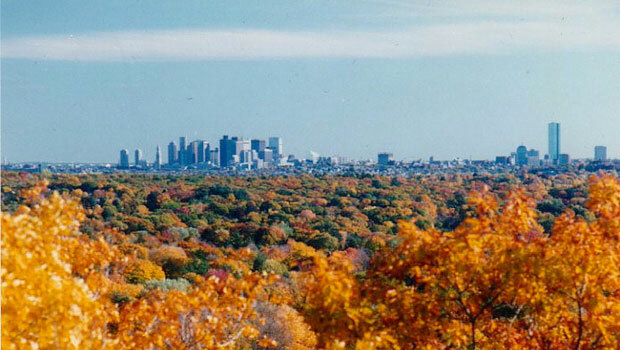 Boston surrounded by brilliant autumnal colors. Photo by Rebecca Kennison. A guide to arts and culture in the greater Boston area. Arts and culture in the Cape Cod, Martha’s Vineyard and Nantucket Island region. More information on arts and culture in Central Massachusetts. A guide to arts and cultural sites in Western Massachusetts. The Boston Marathon is the oldest annual marathon in the world and it attracts athletes from around the globe each April. About half a million spectators view the event and an average of 20,000 runners participate each year. The Cape Cod Baseball League is a summer collegiate baseball league in the Cape Cod region featuring many top college players. Ocean Lighthouse, Salem Massachusetts. Photo by D. Sharon Pruitt. Hiking is available on sections of the Appalachian Trail, Mt. Washington State Forest, the Blue Hills and many other hiking trails in Massachusetts. Trails range from beginner to advanced hikes. Many state parks in Massachusetts offer outdoor activities like fishing, kayaking and canoeing, hiking, camping, snowmobiling and sailing. Find a nearby state park by location or name at the Department of Conservation and Recreation website. Sea kayaking is available along the east coast of Massachusetts. In Essex, many sea kayak tours and lessons are available from Essex River Basin Adventures. Skiing and snowboarding are available at over 20 ski areas in Massachusetts, including Wachusett Mountain Ski Area, Jiminy Peak Mountain Resort & Adventure Park and Catamount Ski Area. See a list of all ski areas in Massachusetts here. Enjoy Boston Common, the oldest park in the United States and a popular landmark in the city of Boston. The 50-acre park is also the start of the Freedom Trail, a walking tour that leads through historic sites in Boston. Take advantage of the Boston bike-sharing system, Hubway. There are over 100 bike stations in Boston, Brookline, Cambridge and Somerville, allowing residents and tourists to rent bicycles for the Metro-Boston area. There are several bike trails in the city and nearby areas. Helmets are available at a reduced rate throughout Boston. 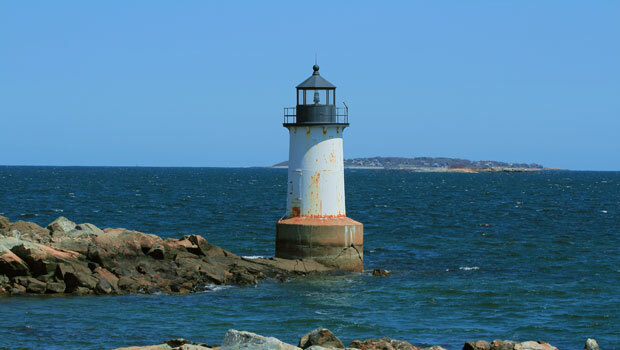 Cape Cod has many outdoor activities for visitors and it is a popular vacation destination in Massachusetts. Bike the Cape Cod Rail Trail, go to one of the many beaches in the area, or camp at Nickerson State Park. See humpback, finback and minke whales on a whale watching tour in Cape Cod and the Islands. Dolphins, seals and other wildlife are often seen on whale watching tours too. Massachusetts food is similar to many New England cuisines and includes plenty of seafood and local favorites like clam chowder, fried clams, lobster rolls, Wellfleet oysters, Boston cream pie and Boston baked beans. Farmers’ markets in Massachusetts are listed on the Mass Farmers Markets website. Search for markets by location, opening hours or services. Rockport Chamber Music Festival takes place over five weekends in June and July with special performances from classical musicians, including some free concerts. Whaling City Festival in New Bedford is a summer festival with live music, entertainment, food vendors, arts and crafts stalls, and carnival rides over three days in July. The Lowell Folk Festival focuses on traditional music from around the country and it is the largest free folk festival in the United States. Live music, ethnic food vendors, folk crafts and other activities can also be found at the three-day festival in July. First Night Festival of the Arts is a showcase of 1,000 artists in various indoor and outdoor venues on New Year’s Eve in downtown Boston. The Boston Arts Festival showcases the best of Boston’s visual and performance artists in September at the Christopher Columbus Waterfront Park. The Cape Cod Scottish Highland Festival in August features dancing, traditional music, activities and games to celebrate Scottish culture and history. The Martha's Vineyard Film Festival organizes various film events for children and adults, including a March Festival, a Summer Film Series and special screenings throughout the year. In Provincetown, the Portuguese Festival in June is a long-running annual event that celebrates Portuguese heritage with music, dancing, food, family activities, and more. Provincetown, Massachusetts. Photo by Rolf Müller. The Massachusetts Bay Transportation Authority (MBTA) operates buses, trains, subway and boats in the Boston area. Visit the MBTA website to see a trip planner, routes, schedules and service alerts for public transportation in Boston. Cape Cod Regional Transit Authority provides buses, seasonal transportation and information on transit in the Cape Cod area. Use this transit map to navigate your way around Cape Cod, including CCRTA bus routes and bike routes. Visitors can find information on ferries in the Cape Cod, Nantucket and Martha's Vineyard region on the Cape Cod Chamber of Commerce website. Visit the American Public Transportation Association website for a complete list of public transportation options in local Massachusetts communities. Information is also available on the Massachusetts tourism website. Amtrak trains travel to many stations in Massachusetts, including Boston, Amherst, Worcester and Springfield. Amtrak also operates the Acela Express, a high-speed train connecting Boston to New Haven, New York, Philadelphia, Baltimore and Washington, D.C.
Greyhound buses travel throughout Massachusetts and the Northeast United States. Other bus services connecting Boston to major Northeastern cities like New York, Philadelphia and Washington, D.C. include Megabus, Peter Pan and Bolt Bus. The United Way of Central Massachusetts has volunteer opportunities for individuals and groups, including on-going work and one-time or short-term projects. Mass Audubon aims to protect the nature of Massachusetts and needs volunteers at their wildlife sanctuaries for many types of projects. Find a volunteer opportunity in the Cape Cod region on the Cape Cod Volunteers website. Volunteer with the Greater Boston Food Bank for a few hours or at one of their special events throughout the year. Nourish Boston supports the grown of small-scale, sustainable farms in the Boston area. Volunteers can help with farm work, research, design and other tasks. Learn more about the Nourish Boston website.